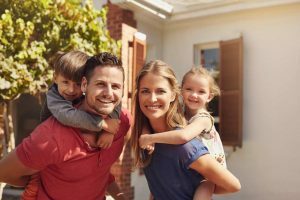 When you’re coping with the emotional upheaval that comes with major changes to the way your family lives, you need a professional third party to help you navigate the legalities of your situation. Making decisions about your loved ones can be extremely difficult and, as humans, we often need assistance seeing the bigger picture. Phoenix Law can help you make those decisions, aiming for the best possible result for the people you care about. Our compassionate lawyers have the understanding and the expertise to help you through difficult times. When you meet with us, we focus on getting to know you, not just your circumstances. In doing this, we dedicate ourselves to finding the most positive outcomes we can for your family law issues with an emphasis on negotiation, not costly court processes. Our family lawyers in Brisbane and the Gold Coast are multilingual. You can rely on our diverse team to take the time to understand the cultural context of your family situation, no matter how different it may be. If you’re going through these issues, know that our family lawyers are here for you and you are not alone. Please explore our links to find out more and contact us to discuss your matter with a person who understands both families and family law.